It’s hard to believe we’re in July already … it’s been a busy summer! 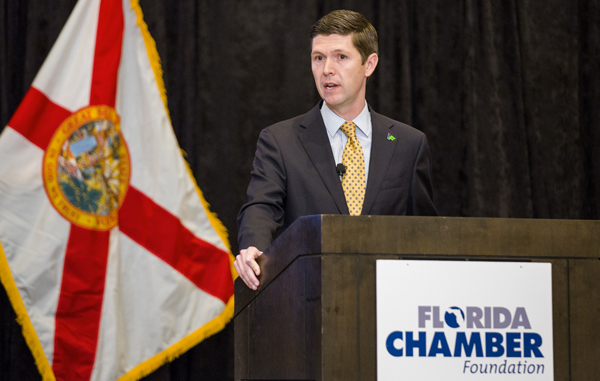 I recently had the opportunity to attend the Florida Chamber Foundation’s Annual Education Solutions Summit in Tampa to discuss partnerships between business, education, and philanthropy. It was an outstanding opportunity to highlight the power of national service and the impact Volunteer Florida and our grantees continue to have on Florida’s education system. Volunteer Florida is grateful to Tony Carvajal and the Florida Chamber Foundation for the opportunity to discuss the role of national service in the Sunshine State. Volunteer Florida’s inaugural LeaderCorps class has also been busy over the summer, hosting service projects across the state. 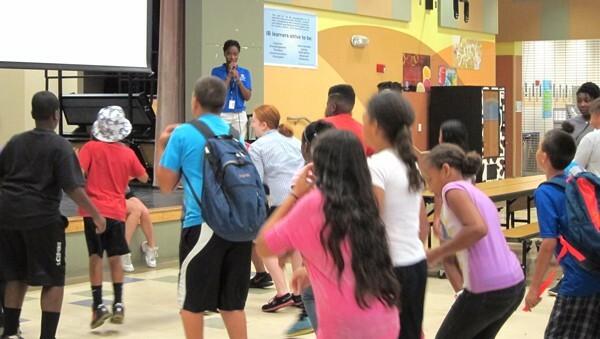 From food distribution in the Panhandle to a summer sports and fitness day in Orlando, LeaderCorps members are fulfilling their mission of maximizing the impact of national service and advocating for volunteerism and civic engagement in their local communities. Last week, VF Emergency Management Director Ken Skalitzky and I joined Florida Division of Emergency Management Director Bryan Koon and Pensacola Mayor Ashton Hayward at the BRACE (Be Ready Alliance Coordinating for Emergencies) Annual Meeting in Pensacola. Our team was recognized for our ESF 15 role, in which VF coordinates volunteers and donations before, during, and after disasters. We are proud of our work in administering the Florida Disaster Fund, which has supported families in the Panhandle with recovery efforts following the 2014 flooding, as well as our efforts to secure funding from FEMA for Disaster Case Management. We appreciate the recognition from our partners in the Emergency Management community! We also toured COPE Center Offices and Disaster Case Management operations in DeFuniak Springs and Pensacola. The COPE Center continues to assist survivors of the flooding thanks to the FEMA grant. 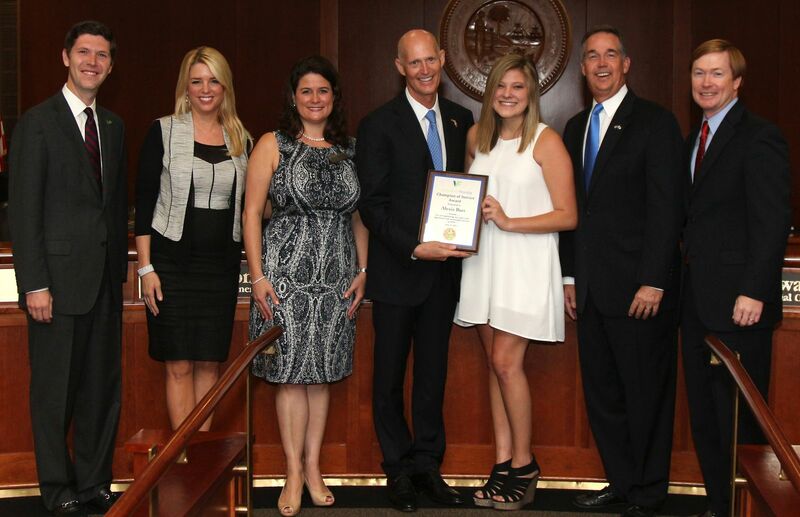 In June, we welcomed Volunteer Florida Chair Autumn Karlinsky to Tallahassee to present the Champion of Service Award to a young servant leader during the Florida Cabinet Meeting. 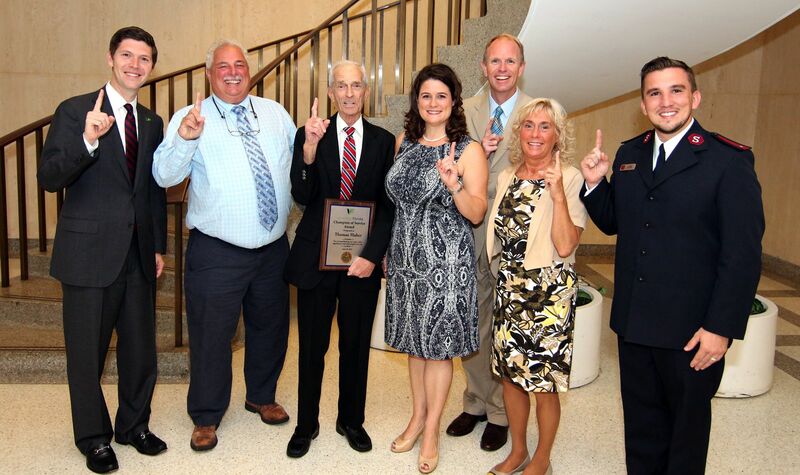 Another Champion of Service awardee is a long-time Salvation Army volunteer, and we were grateful that Division of Emergency Management Director Bryan Koon could join us for the award presentation. As we mark the 2015 Hurricane Season, this was an excellent way to highlight the importance of volunteers before, during, and after disasters. You can read more about the Champions of Service here. 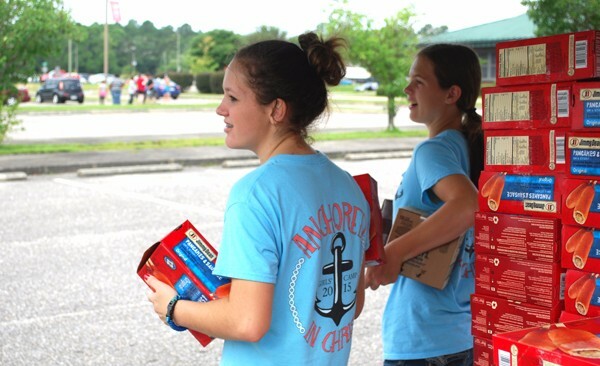 We look forward to a busy summer and we’re grateful for all that you do to #ServeFL!